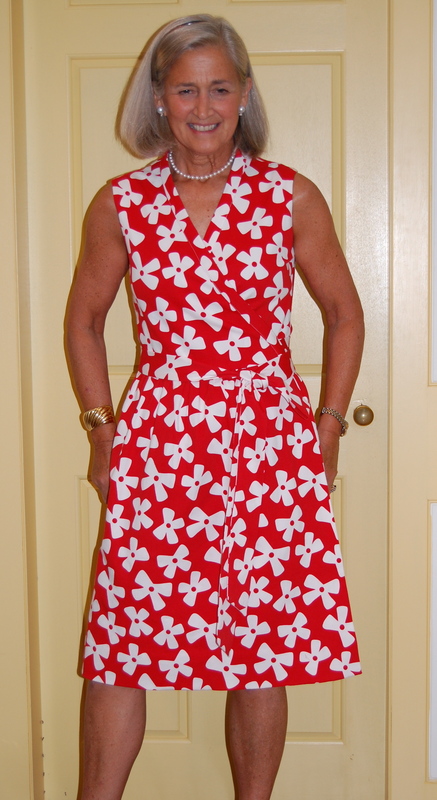 I recently bought myself a vintage 60s pattern that is a wrap dress, but it wraps in the back (like a Swirl). Wrap dresses are comfy but I usually feel like they shift a lot when I wear them, so I’m hoping my pattern wrapping in the back will solve that problem. Hopefully we’ll get a peek at your wrap dress when you have it finished??!! 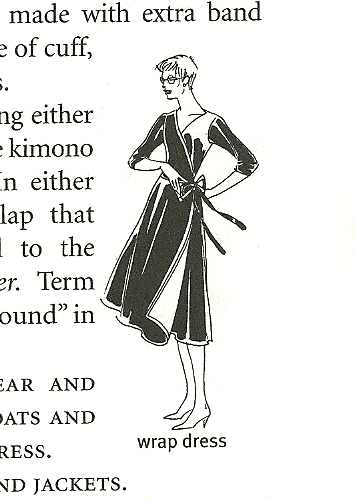 This is unbelievably cute and cheerful…….and flattering! 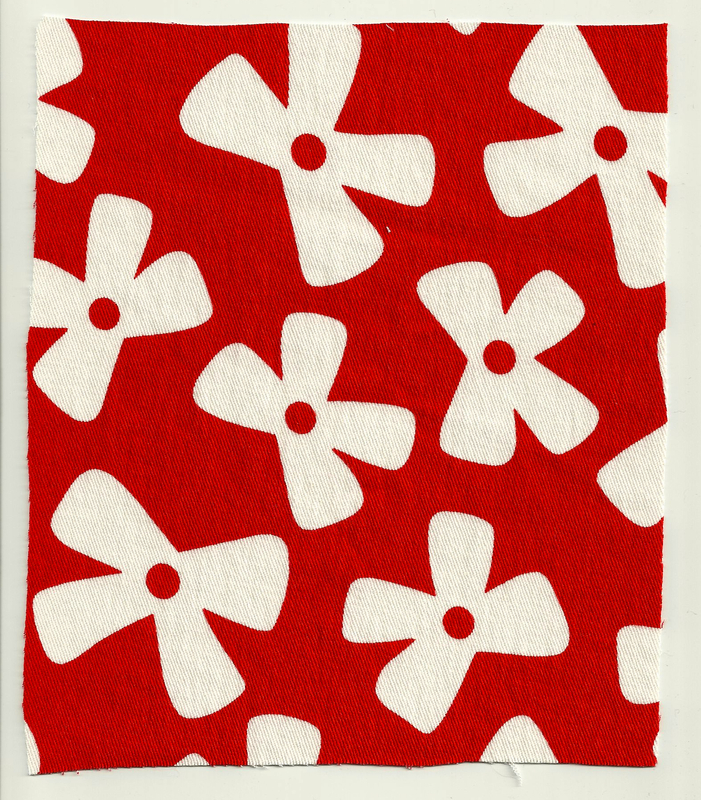 Great to know you were able to use a woven fabric with this pattern! Where did you find stretch hem tape? 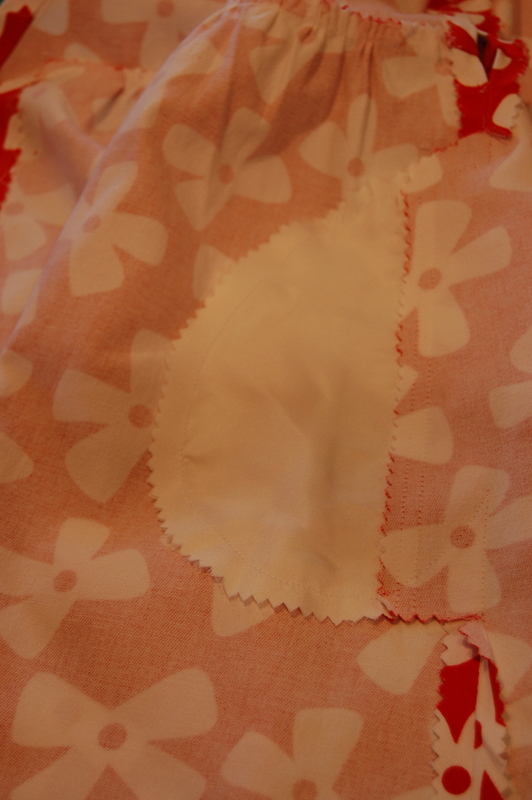 Ah – I don’t usually buy the “flexible” lace hem tape at Joann’s if I can avoid it, but it was perfect for this dress – just enough stretch to sew onto the fabric without a pucker in sight! That is so cute and I love that you used Mood’s fabric for this. Love that print. Nice work! Thanks, Meg! The fabric was a dream to sew on! It looks great! 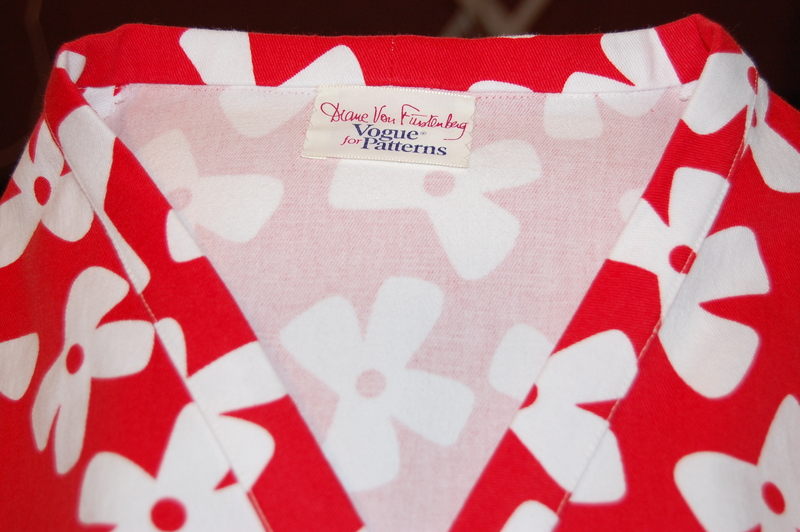 I’m glad you experimented with the fabric a bit, as it is good knowing other stretch fabrics will work. And you were so lucky to get the label. 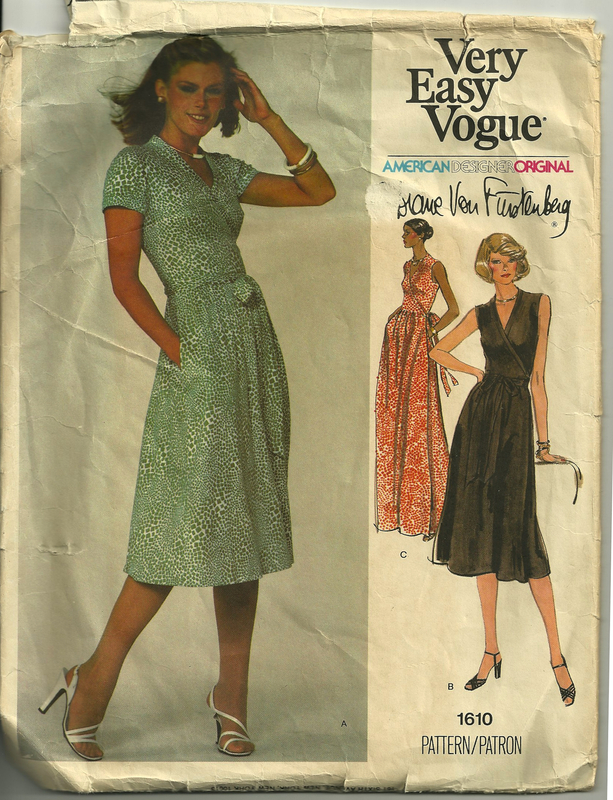 Back in the 1970s you could actually buy the same DVF stretch knit prints that she used to make her dresses. I have a bit of a red and white print I fond in an antiques store a while back. 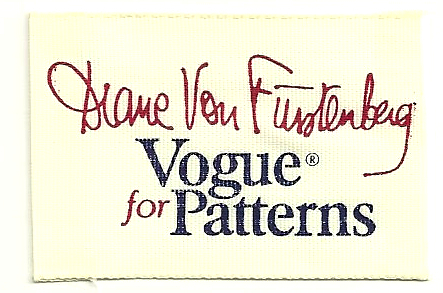 I remember reading about your DVF fabric find on your blog. I am always on the lookout for some, but it is quite elusive!